For ANCESTORS you're looking back and may miss some branches coming down. DESCENDANTS looks the other way from 1066 to the present day. The descendants from CUMBRIA (Westmoreland) may prefer to look directly into Documents and the Origins Hypothesis. We introduce visitors to the history of the Bellasis family that spans nearly 1,000 years and is as diverse as English history itself. Since introducing the family pedigree to the internet, other information has sprung up; in particular The Family Story of Sydney Bellas, based on research by Douglas Bellas; also, research by Tom Bellas that can be found in the Documents option above. Don't miss the hypothesis that explores the possible links between the Cumbrian families. It is hoped that other branches of the family may either contribute or link into this site. The information given is taken from many different sources including the College of Arms, Surtees, Debrett's, Somerset House, English monuments, history books, numerous parish registers and from the family archives. We have used the AncestralQuest package developed by Incline Software. You can download a GEDCOM file from each tree option above, and this file is compatible with some other family tree programs. The information is given for family and research use only and you are respectfully requested to make only positive use of it. If you believe that you may be related, please feel free to notify by email. Names of living relatives will not be shown except with their express permission, preferably by email giving specifically approved details. Similarly, they may be subsequently removed. We will hold dates and details on file of the living but not publish these. Such details may only be used under confidential conditions within the family. 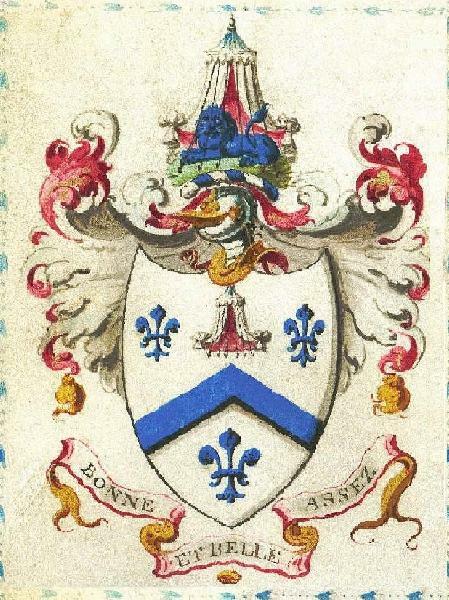 Examples of Coats of Arms are nested in the Scrapbooks of individuals. There are also some other historical gems in the Notes connected to individuals and now displayed on the main pages. This site was last updated on 1st November 2018. Counter installed on 4th April 2015.